Friday, March 15 Keynote 9 a.m.
Andrew Pudewa is the founder and director of the Institute for Excellence in Writing. Presenting throughout North America, he addresses issues relating to teaching, writing, thinking, spelling, and music with clarity, insight, practical experience, and humor. His seminars for parents, students, and teachers have helped transform many a reluctant writer and have equipped educators with powerful tools to dramatically improve students’ skills. Although he is a graduate of the Talent Education Institute in Japan (Suzuki Method) and holds a Certificate of Child Brain Development, his best endorsement is from a young Alaskan boy who called him “the funny man with the wonderful words.” He and his wonderful, heroic wife, Robin, have homeschooled their seven children and are now proud grandparents of eight, making their home in Northeastern Oklahoma’s beautiful green country. A Classical Approach in a Modern World - Friday 10:30 a.m. - What is a classical education? Studying Latin? Learning logic? Reading The Iliad? Although Andrew Pudewa does not claim to be the expert extraordinaire on the subject, he has been exploring this idea of classical education for the past twenty years and has witnessed the frenzy, the skeptics, and various views of what actually defines a classical education. In this talk, Andrew shares his personal journey, some observations, and his conclusions that have enriched his own teaching at home and in many communities across North America. Freedomship and Entrepreneurial Education - Friday 1 p.m. - Many of us realize that we value home education not only because it often results in better academics, superior social environments, and enriched family life, but because it builds a better community and country. The result of true liberal education—a freedomship education—will be not only young men and women who know how to think and communicate, but who think evangelically and entrepreneurially. The Four Deadly Errors of Teaching Writing - Friday 3 p.m. - We’ve all suffered it at one time or another: frustration about writing assignments. Either on the receiving end, or perhaps now on the giving end, there can be a few distinctly discouraging aspects to teaching and being taught writing. The Four Language Arts - Saturday 10:30 a.m. - There are really only four core language arts: listening, speaking, reading, and writing. Come prepared to have your educational paradigm adjusted, your load lightened, and your commitment to excellence renewed as you focus on the most important things in the limited time you have. Leadership Education: The Seven Keys of Great Teaching - Saturday 1 p.m. - Exploring the practical elements of the Thomas Jefferson education model, Andrew will explain the seven keys as developed by DeMille and his colleagues. With humorous stories from his own family’s experience, Andrew will delight with tips on how to escape the “conveyor belt” approach to doing “school” at home. The Profound Influence of Music on Life - Saturday 3 p.m. - As we’ve changed from being music makers to music consumers, we have gradually lost control over, and even awareness of, our auditory environment. In what way is music beneficial to our bodies and minds? Can it actually be harmful? Research provides some astounding answers to such questions. Saturday, March 16 Keynote 9 a.m. Puts the emphasis on the things that are not seen, and about priorities in your home school. Looks at six ways to reach the heart—taken from Elizabeth’s example in Luke 1 and four obstacles that can keep us from reaching the heart. 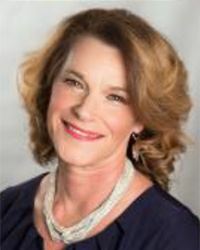 Sonya Shafer is a popular homeschool speaker and writer, specializing in the Charlotte Mason Method. 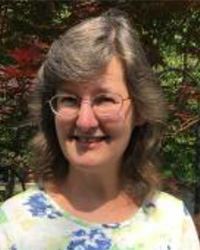 She has been on an adventure for more than 20 years studying, researching, practicing, and teaching Charlotte’s gentle and effective methods of education. 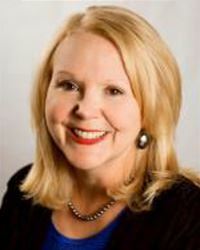 Her passion for homeschooling her own four daughters grew into helping others and then into Simply Charlotte Mason, which publishes her many books and provides a place of practical encouragement to homeschoolers at simplycharlottemason.com. The Five Flavors of Homeschooling - Friday 10:30 a.m. - The world of homeschooling is a lot like the world of food. You know that you want to provide nutritious meals for your children’s minds, but there are so many possibilities for what that food could look like and taste like. Join Sonya for a simple overview of five main flavors of homeschooling: traditional, classical, Charlotte Mason, unit studies, unschooling. Find your preferred flavor and learn how to shop for a successful homeschool menu. Inside a Charlotte Mason Homeschool - Friday 1 p.m. - Take a look at a typical day in the life of families who use the Charlotte Mason Method. You’ll discover what the method looks like in everyday practice and gain lots of practical help and clear explanations. Keep It Simple: How to Teach Your Whole Family Together - Friday 3 p.m. - Save time and money by teaching most school subjects to all of your students together. Join Sonya for practical strategies to lower your stress level, provide a well-rounded education, and help you and your children build sweet memories. Laying Down the Rails - Saturday 1 p.m. - Discover the secret to smooth and easy days: habit train-ing. Learn how to instill good habits, which habits Charlotte Mason encouraged parents to cultivate in their children, and practical tips for cultivating the Top Three. The Quiet Schooling of Nature - Saturday 3 p.m. - We all have a fascinating science resource right outside our doors, but we often overlook it because it is so quiet. Come learn how nature study lays the foundation for science lessons, how to get started, and how to keep a nature notebook, plus fun and simple nature study ideas for the whole family. 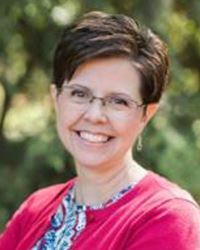 Nancy Bjorkman has 20 years of homeschool experience, and her enthusiastic encouragement in many educational and practical topics make her a popular speaker with homeschoolers. She and her husband own Heppner’s Legacy, a homeschool store in Elk River, MN, where they delight in ministering to the unique needs of families year round. Engaging Early Learners - Friday 10:30 a.m. - What should “school” look like for early learners? What things are developmentally appropriate for the younger ages? This fun and informative session will provide a comprehensive overview of teaching methods specifically geared to pre- and elementary age children. Math Outside the Book - Saturday 10:30 a.m. - This interactive workshop will cover the why’s and how’s of using games to bring math to life and increase understanding in students, and discuss how to use games to enhance any curriculum. We’ll then dive into a highly visual and interactive review of games for specific goals. Courtney Baxter graduated with her MA in Public History in 2014 from Loyola University Chicago. 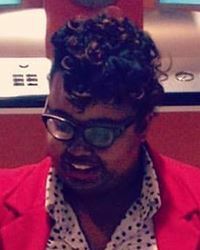 She has experience working at various museums including Saint Louis Art Museum, Museum of Science and Industry, and Abraham Lincoln Presidential Library and Museum. Her interests and experiences are in museum education and museum audience diversity. She is currently the Education Manager at Peoria PlayHouse Children’s Museum. Ancient Architecture - Friday 3 p.m. - Travel from Egypt to Greece as we explore the all the angles and science of amazing ancient architecture. Are you ready to be an architect? Learn about how ancient people build buildings that have spanned thousands of year and make some wonders of your own. 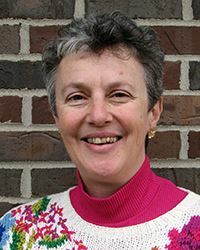 Carol Becker and her husband Jim homeschooled their son in grades 1–12 and their daughter K–12 using a variety of teaching options. The Beckers’ son has a master’s degree in Information Technology and a B.S. in Systems Engineering, and their daughter earned a B.A. with Highest Distinction in French. As a High School Consultant for HSLDA, Carol relishes the opportunity to encourage and equip homeschooling mothers because they are raising the next generation of leaders. Developing a High School Plan: Four Year Sample Plans - Friday 10:30 a.m. - You can plan a program for your high school student! If you are just beginning to think about the high school years, this seminar will help you organize your thoughts and begin laying the groundwork for a viable four-year plan. High School Transcript Clinic - Friday 1 p.m. - The session will guide you through transcript essentials, evaluation of credit, grading guidelines and scales, and calculation of grade point averages (GPAs). In addition, you’ll receive sample transcripts showing other formats for you to consider. Charting Your Way Through High School for College, Workforce & Military - Friday 3 p.m. - For the college-bound teens, discover tips for the application and financial aid process. For those headed directly into the workforce, explore job hunting and workplace skills. For those interest-ed in a military career, learn about the their homeschool enlistment policy. Essential Skills for Successful Teens - Saturday 10:30 a.m. - If your teen is headed to college, the workforce, or the military, they will benefit from study and time management skills. This session provides parents with ideas to incorporate these skills into high school coursework and lists resources to help teens cultivate these essential skills. The College Bound Student - Navigating the Road to Admissions - Saturday 1 p.m. - This seminar will provide you with tips and resources to help you better understand how you can prepare your high schooler for the challenges of college, as well as aid you in helping him select and apply to colleges. You Can Homeschool High School... If You Can Make It Through Tomorrow - Saturday 3 p.m. - As a parent homeschooling a teen (or thinking about it), you may have doubts about your ability. Are you weighed down by the seriousness of high school? Do you question your compe-tence to teach your teen? Come be encouraged as you discover a long-range perspective that is filled with much hope, faith, help, and joy! Faith Berens, Faith Berens lives in Fauquier County, VA, with her husband Matthew, daughter Hailey, and son Hayden. 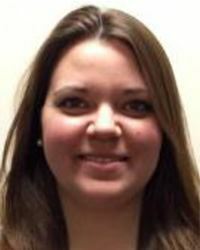 Faith joined the HSLDA team of special needs consultants in 2008 and homeschools her children. She also works as a private educational consultant and evaluator. Some of her passions include reading for pleasure, singing, traveling, nature/science, leading Bible studies, and teaching reading to struggling students. Faith holds a master’s degree in reading from Shenandoah University. She has over 15 years of teaching experience that includes serving as a classroom teacher in public and private Christian schools, Reading Recovery® teacher, reading specialist, NILD educational therapist, home educator, co-op instructor, and tutor. Her areas of expertise are early childhood literacy, reading assessment, and the identification and remediation of reading difficulties and disabilities. You Can Homeschool Your Struggling Learner, and We Can Help! - Friday 10:30 a.m. - This workshop will provide an overview of HSLDA’s Struggling Learner/Special Needs Department and the many resources we provide to both members and non-members. Faith will share diagnostic checklists for struggling learners, common roadblocks homeschooling parents face, and help you navigate around those, as well as share strategies for success with your children who learn differently. Teaching Struggling Learners at Home (Part 1) - Friday 1 p.m. - This workshop offers practical resources, lists of materials, and curricula in order to help equip you as you work with a struggling learner in your home school. Multi-sensory teaching methods, modeled teaching, and “scaffolding” instruction are shared, as well as ideas for designing a unique program tailored to your child’s specific challenges. Teaching Struggling Learners at Home (Part 2) - Friday 3 p.m. - A continuation of the discussion above. Demystifying Dyslexia - Saturday 10:30 a.m. - This workshop will define what dyslexia is (and what it is not), discuss the different types of dyslexia, as well as levels of struggle and then offer hope by sharing the types of necessary teaching methods that can be implemented in the homeschool setting. Hope and en-couragement are offered! Tackling Tricky High School Issues for Struggling Learners - Saturday 3 p.m. - Faith discusses alternative course work, specialized curricula, transcript options, possible graduation guidelines/high school programs for special learners, post-high school options, as well as offers tips for navigating the process of applying for testing accommodations for college entrance exams. Alcha Corban is the 4-H Youth Development Educator for Livingston and Woodford Counties and also oversees programming at the Unity Community Center in Normal, IL. Originally from Livingston County, Alcha graduated from Pontiac Township High School and then attended Northern Michigan University where she earned a B.A. in English and an M.A in English: Writing and Pedagogy. She moved back to the central Illinois area after college and worked for three years as a teaching assistant in the El Paso-Gridley grade schools. She resides in El Paso with her husband. 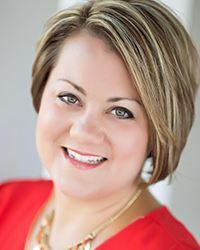 Carla Estell is a 1987 Liberty University graduate. She classroom taught for 6 years and homeschooled for 21. 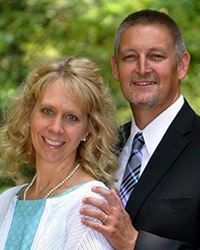 In 2016 they relocated to Illinois; Brian works for Samaritan Ministries while Carla continues to homeschool and teach science at the New Castle Homeschool Co-op. They are available for creation seminars. Chris Kallal is the Executive Director at Camp Good News in Washington, IL. He loves animals and teaching children about them and their Creator. Rock Show - Friday 10:30 a.m. - This Rock, Fossil, and Mineral Show isn’t your normal show! We let you hold and inspect everything! Where else can you go to that lets you hold a Mosasaurus Tooth, feel Dinosaur Coprolite, read things under Ulexite, or watch the color change of UV Reactive Flourite? Nature Art - Saturday 10:30 a.m. - This make-and-take class will be using God’s Creation in nature to create a masterpiece you will be proud to frame in the living room (or at least hang on the fridge). Bring your creative side as we help you make some art using supplies that can only be found in nature! Animal Encounter - Saturday 1 p.m. - This hands-on class gets you up close with the animals. Learn how God made each animal unique in its own way and hear some of the awesome superpowers He gave them! Several animals will be with us and you get a chance to learn about them while holding or petting them. The Next Step: Higher Education - Saturday 10:30 a.m. - Our goal is to give you the nuts and bolts of what you need to successfully take the next step in pursuing higher education. From transcripts and financial aid to selecting the right college, our desire is to equip you in continuing the Christ-centered education that your family prioritizes. Alison Meuth is a homeschool mom of three. She is a professional opera singer. Alison teaches voice, vocal pedagogy and opera at Knox College in Galesburg, Illinois. She creates and teaches the music curriculum for The Charlotte Mason Alveary. Alison directs the Peoria Cooperative Academy’s Chorale, Madrigal Group and musical theater group. She is the Chancel Choir Director at The First Presbyterian Church of Galesburg. Kirk and Joely Smith have been married for 27 years and have 11 children. Although they both were trained as public educators, they committed to homeschooling before their children were school age. 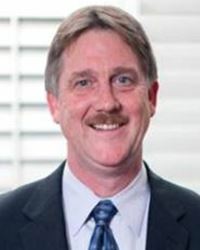 Kirk pastored for twenty-five years and now serves as the Executive Director for Illinois Christian Home Educators. Joely has mentored many young women over three decades but now focuses on her six daughters in her own home. Focus on Your Own Family - Friday 10:30 a.m. - There are many homeschooling success stories. While there can be benefit in borrowing methodologies at times, we can fall into a trap of comparison that can negatively impact homeschoolers individually and collectively. The key is to focus on our own family. The Lost Art of Spiritual Motherhood - Friday 1 p.m. - Thousands of young women are turning to the superficial outlets of Facebook and blogs, desperate for guidance from anyone who will give it to them. Learn the importance of mentoring through the lives of Elizabeth and Mary. Get Real! Authenticity in the Homeschooling Arena - Friday 3 p.m. - We home educators can subtly become more concerned about looking good rather than being godly. The key in affecting cultural change is a possessing a real gospel that reaches our impressionable children, a religious church, and a cynical world. Healthy Mama, Happy Mama - Saturday 10:30 a.m. - The best way for a mother to glorify God and enjoy Him forever is to find God’s grace in the balance between the spiritual, emotional, and physical. Come listen to this well-rounded approach to life. Power of Joy in Homeschooling - Saturday 3 p.m. - Homeschooling without joy is like rowing a boat against a strong current... little headway is made and everyone gets worn out. Learn how to foster a spirit of joy and encouragement in your home. Abi Spencer is a 25 year old Home Education graduate from Peoria IL. A multipotentialite with interests and studies ranging from skin care and health to cultural studies and art. She is excited to share her passions and to bring her background as a cosmetologist, Certified Personal Trainer, 200hr Certified Yoga Instructor, 4 years as an Art Teacher and collaborative community Artist, and most recently as a student at ICC (finally getting around to) pursuing her first degree in Health Sciences. In her spare time she pets her dog (Alpert) and reads until her eyes hurt. Your Body is Not an Afterthought - Friday 3 p.m. - In God’s brilliant design we are fearfully and wonderfully made, but do we live like we are? Come to this workshop with your body image insecurities and baggage we all carry from illness and disease to genetics and gender. God has planned to be glorified through it all! Our bodies are more than simply vessels. Come gather some perspective on how to love and cherish yours! The Importance of Beauty: Teaching Art in the Home - Saturday 1 p.m. - In this workshop we’ll discuss both the philosophical and the practical side of teaching art, lots of meaningful ways to incorporate Art studies into your school week, and tons of reasons to pursue teaching art in K-12! Never too early or too late to teach the Arts, this session can springboard your art goals for the coming years. Hand Lettering - Saturday 3 p.m. - We’ll learn the basics of hand lettering (a style of art much like calligraphy), and apply those basics to create stunning works of art. Feel free to bring a favorite quote or verse you’d like to work on. All supplies provided! Dr. Jay Wile holds a Ph.D. in nuclear chemistry and a B.S. in chemistry, both from the University of Rochester. 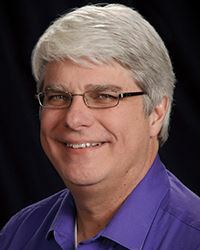 He has won several awards for excellence in teaching and has presented numerous lectures on the topics of Nuclear Chemistry, Christian Apologetics, Homeschooling, and Creation vs. Evolution. He has more than 30 articles in the peer-reviewed scientific literature, but he is best known for his award-winning “Exploring Creation With...” series of junior high and high school science textbooks as well as his elementary science series that teaches science in the context of history. The Most Exciting Science Related to Creation - Friday 1 p.m. - We’ll review the groundbreak-ing study that indicates that the vast majority of human DNA is functional, which directly contradicts what evolutionists have been teaching for more than 40 years, how radioactive carbon in dinosaur bones demonstrates that they can’t be millions of years old, and more! Teaching Science at Home - Friday 3 p.m. - Hear an overview of how to teach science at home from the earliest years through high school. Jay stresses the differences between elementary and high school science and how to use the middle school years to bridge the two. He also surveys the curricula available to homeschooling parents and makes recommendations. Reasonable Faith: The Scientific Case for Christianity - Saturday 10:30 a.m. - Based on Dr. Wile’s book, this session provides a step-by-step argument that shows science provides an enormous amount of evidence for the validity of the Christian faith. Everyone who leaves this seminar will have increased faith in the reality of the Christian experience. Teaching Critical Thinking - Saturday 1 p.m. - In this seminar, Dr. Wile gives you specific suggestions as to how you can teach your child to think critically, regardless of the subject matter. You will learn how to help your student evaluate statements, look for hidden assumptions, find political/social agendas, and discover faulty logic. College and Faith: What’s the Real Story? - Saturday 3 p.m. - We’ll cover the scope and significance of worldview. Beginning with the story of Patrick carrying the gospel to Ireland, we’ll emphasize the importance of taking every thought captive and identify the four categories of worldviews. Fred Witzig is a history professor at Monmouth College in Illinois and a former homeschool dad of twenty years. He live-streams history classes and posts history and apologetics podcasts and videos on Wit 'n' Wisdom's Patreon site www.patreon.com/witnwisdom and radicalchristianhistory.com. We Believe, Why Don’t You? - Friday 10:30 a.m. - Billions of people around the globe testify to the reality of the supernatural. What needs to be explained-and defended-is not why someone would believe in God, but why someone wouldn't. This session proposes a Christian apologetics that turns the table by asking why anyone would deny what is evident to the vast majority of people. Teaching Church History: Why It’s Important - Friday 1 p.m. - If you are a Christian, you have two family histories: the story of your natural family and the story of your spiritual ancestry. Both go far in explaining who you are today. We often share stories about our natural family past. Let's not neglect the story of Christ's work in the Church that is so important to our faith. History’s Tough Topics: What Happens When History is Sad - Saturday 1 p.m. - From George Washington as a slaveowner, to Confederate monuments, to the so-called robber barons, our secular culture is raising important questions about how we remember unfortunate stories from our national past. Hear how can Christians respond in ways that are faithful to our theology and that glorify God.